At the end of January Lord Dyson, the Master of the Rolls (the second most senior judge in England) made a historic ruling concerning a bus advert: Not gay! Ex-gay, post-gay and proud! Get over it! 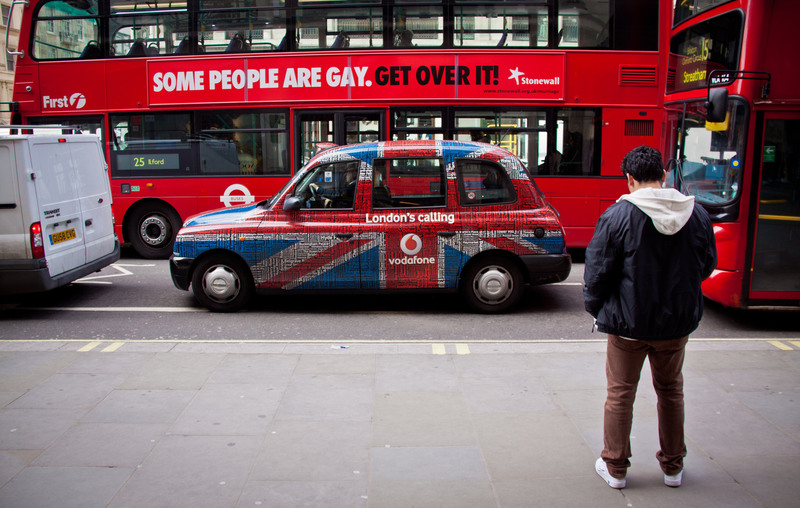 For those unaware of the sage this advert was due to run on buses in London, on behalf of CORE Issues Trust, in response to the Stonewall adverts: Some People are gay. Get over it! but was suddenly banned by Transport for London because of it supposedly being “offensive,” despite it having passed the censors at the Advertising Authority. While the High Court had not overturned the ban it found that the original Stonewall advert should not have been run because it was offensive, a ruling that Stonewall ignored when they reran these adverts before Christmas in 2013. Thankfully the Court of Appeal agreed that the Stonewall advert was offensive, despite Transport for London disagreeing. But the Court of Appeal went further in ordering the case to be reviewed again by the High Court because evidence was submitted that showed the Mayor of London, Boris Johnson, had ordered Transport for London to pull the advert to prevent it becoming an issue in his campaign for re-election. Just as importantly the ruling states that ex-gays have protection from discrimination on exactly the same grounds as homosexuals. This is a major step forward as this prevents ex-gays who speak out from being discriminated by employers, and should allow for ex-gays and those who want to pursue that path to gain access to suitable therapies. This case is still ongoing. Now back at the High Court, where Mrs Justice Lang, the judge who heard the original High Court case, has stated that she is not happy with the account of what happened from either the Mayor of London or his office and has ordered them to provide her with full copies of the relevant emails and documents and also ordered Boris Johnson, Guto Harri (Johnson’s then Director of Communications), and Sir Peter Hardy (Commissioner for Transport for London) to provide witness statements with the possibility that they may be called to give accounts of themselves under oath in court. Despite this case, the battle for equality for ex-gays goes on with efforts to close the path for those who want to pursue sexual orientation change going through Parliament, as well as the various “professional bodies” banning their members from offering what research and experience shows to be a safe and effective therapy. This entry was posted in Uncategorized on 2014-03-11 by VoV Contributor.